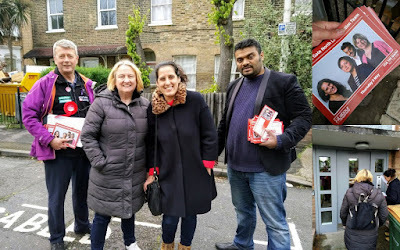 After my Mobike UK adventure I joined comrades in Forest Gate North on #labourdoorstop. It was interesting to be blamed for not stopping foxes getting into private gardens and then to hear a previous UKIP supporting family switching to being strong Labour supporters. Anam and I had a great chat with a Bulgarian family who do want to participate in our democratic process and are of course they are the #NewEastenders.